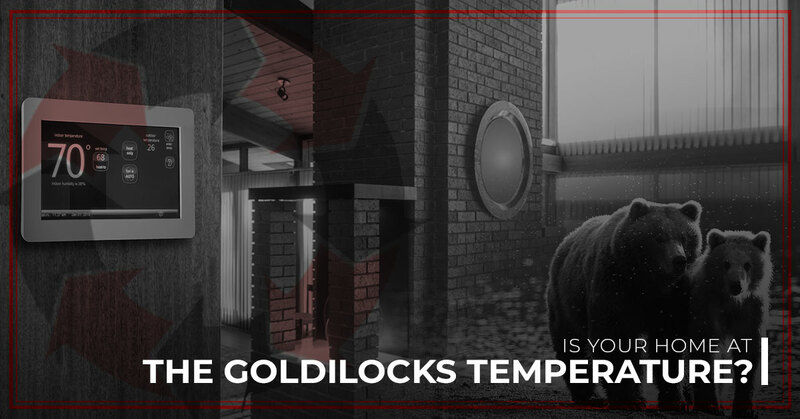 Is Your Home At The Goldilocks Temperature? Would you believe us if we told you that you could save hundreds on utilities and get a better night’s sleep just by adjusting your thermostat by a few degrees? The age-old answer for “room temperature” has been 72 degrees. But to relegate all home air 72 degrees doesn’t do justice to the many factors that determine comfort. In fact, experts recommend setting the thermostat to 78 degrees in the summer and 68 degrees in the winter. Even then, those two temperatures need a lot of explaining. Humidity is a game-changer when it comes to keeping a comfortable home. If you live in a humid climate like the one in our Belleville area, then you’re going to be colder and more uncomfortable in general. That’s because humidity binds moisture to your skin, keeping you feeling sticky and clammy even in a comfortable climate. So, you crank up the AC. In the winter, when humidity decreases, the same moisture evaporates more quickly from your skin. As a result, you tend to feel colder. Then, you crank up the heat. The problem here isn’t your home’s temperature — it’s the humidity. As such, consider adding a whole-house humidifier in the winter. In the summer, you could run fans in high-energy areas like the kitchen, laundry room, and bathroom to encourage some of the moisture out of the house. Local HVAC service companies can help you to install these appliances. To learn more about whole-house humidifiers, be sure to call Air Temperature Control, Inc. in Belleville today! Home air temperature isn’t just about comfort. It’s also about reducing your utility bill and lowering your carbon footprint. In fact, the U.S. Department of Energy suggests that households can save up to 10 percent per year on utility bills if they turn the thermostat back by 7 degrees throughout the day. Even eight hours of this modified temperature (while you’re at work or sleeping, for instance) can make a world of difference. In the summer, if you normally keep your house at 72 degrees, you’ll want to raise it to between 77 and 82 degrees. In the winter, you’d want to lower your thermostat to between 62 and 65 degrees. We know 62 degrees doesn’t exactly sound balmy in a Belleville winter, but keep in mind that you’ll probably be out of your house anyway. If you don’t have one already, a programmable thermostat is the best way to control your home temperature — even when you’re not there. Call our HVAC company today to learn more about installing this type of thermostat. If you want to ensure a comfortable and energy-efficient home, the best place to start is with a trusted HVAC company. For the last 35 years, Air Temperature Control, Inc. has been providing HVAC service to the Belleville community. We know the heat of Michigan summers and the freeze of Belleville winters can be downright cruel. We also know how much of a difference a good HVAC system can make. For routine service, HVAC installation, or humidifier installation, be sure to contact our HVAC company in Belleville today!